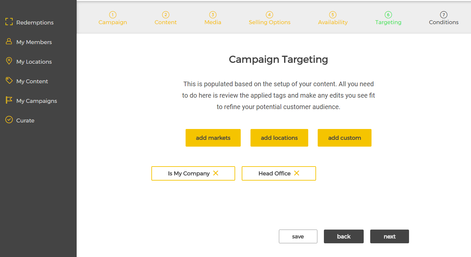 Use Belong's Reward Targeting feature to recognize individuals and teams in your business. Have you been looking for a better way to recognize and reward individuals and teams in your business? Then Belong's Reward Targeting feature may be exactly what you are looking for. Belong offers can be targeted at groups of people - groups that you create on the fly. Follow the example below to get some rewards out to your team! Each Belong offer (Campaign) can be targeted with with tags. 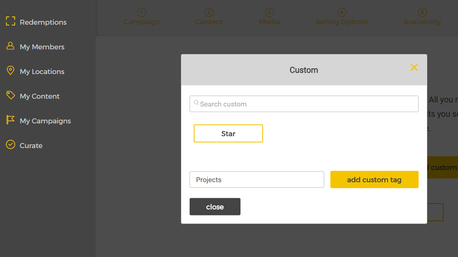 The 'custom' tag lets you create new groupings at the click of a button. Here we add a customer tag called 'Star' to this offer. The offer is now visible to the members of the 'Star' group. 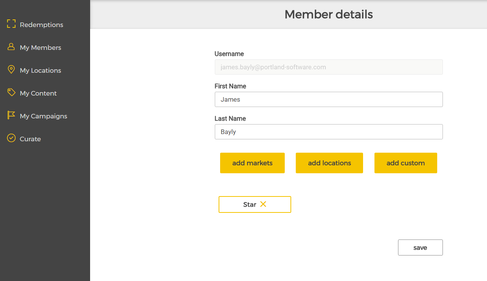 Then we use 'My Members' and add the 'Star' tag to one or more employees. These employees will now be able to view the offers tagged for the 'Star' team. Easy as. It's time to get some offers out to the stars in your teams! Feel free to get in touch if you need a hand.